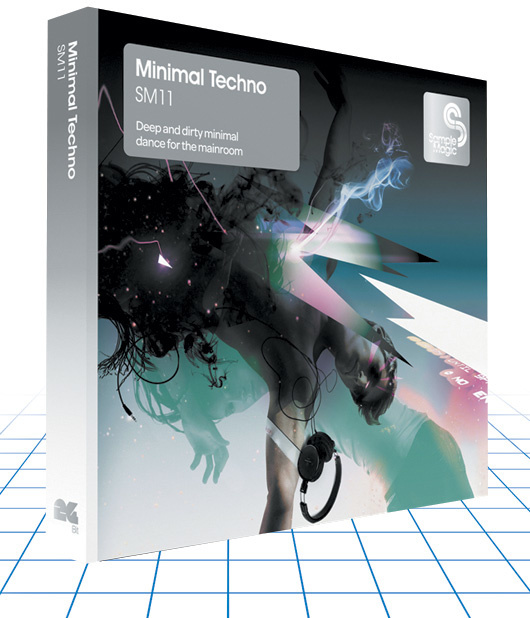 No‑one can accuse Sample Magic of scrimping on the sub-bass in their Minimal Techno loop and one-shot library: it lumbers forth from the provided bass and kick sounds in abundance. A good thing it is, too, given the importance of the dub influence to this style — but I was pleased to see that the producers have taken care to keep the subterranean monsters firmly controlled, to maintain a tight rhythmic backbone and clear texture. Still, only the foolhardy would attempt to layer raw materials like these without access to proper full‑range monitoring! Once you've picked your mouse up off the floor, you'll notice that there's lots of other good stuff going on in here as well. In a genre that combines pounding rhythmic repetition with a disregard for 'whistlability', productions can stand or fall according to the imaginativeness of their synth and effects design, so Sample Magic have rightly concentrated considerable effort in this department. They reap the rewards in the form of apparently simple parts, whose inner details withstand repeated listening. Featherweight snares and clicky percussion toy with your expectations without losing the general plot; pitch modulations and real‑time controller programming steer a selection of skittering and frequently delay‑garnished rhythm-synths well away from the realms of complacency; and whole boxes of virtual patch-cords appear to have been applied in the pursuit of sinuous filthiness in many of the bass‑synth lines. In addition to the inventively textured programming, the synth lines in general score well in terms of raw sonics. Somehow the designers have managed to imbue these sounds with solidity and power, despite pseudo‑random glitchiness and sawtooth rasps aplenty. Usability is pretty good, with plenty of supported formats and a sensible tempo‑delineated folder structure, although I'd have liked a bit more text description of the sounds and effects used in each loop. This is particularly the case with the drum loops, where each loop comes in several variations: it would be handy to know which is the 'no kick' version, for example. £58.67 (physical product) or £49.95 (download only).